Step inside a massive park filled with wonder and enchantment at nearly every turn. From the works of Antoni Gaudi is a place that millions visit each year to admire and explore the many unique structures, buildings, fountains and features that makes Park Guell worth the visit. A colorful, vibrant and nothing short of interesting experience, be sure to head this way no matter if you have already been there or not. Buy your ticket online before you go, because you will save a lot of money. 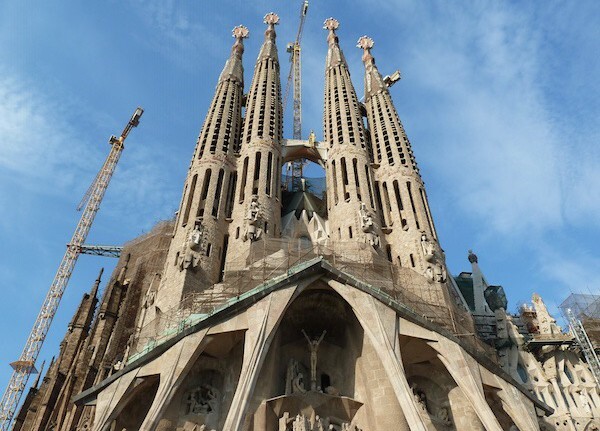 If you love Park Guell, then you will love Sagrada Famlia as well! Another one of Gaudi’s most esteemed and noted pieces of work, this church is also extremely enchanting and different than any other one you have ever seen. Massive pillars, unique and soft color combinations and true serene ambiance help to make this place one of the most visited in all of Barcelona. Buy your ticket online before you go as the queues can take hours! 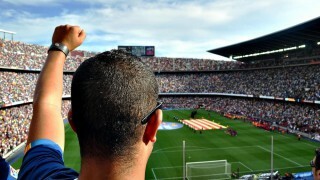 Whether you get the unique privilege of making it to a soccer match in Camp Nou or not, a tour of the stadium and its museum are an absolute must! You will get the chance to gain a behind the scenes look into what goes on just behind the bleachers, inside the locker room and of course learn the rich history of such a well-known and lively place. This is a perfect day outing for those with little ones or simply for any sort of soccer loving fans. Not sure what this is exactly? Well, it is your new favorite place as it will allow you to see an unforgettable Flamenco show performance! As one of the most passionate and authentic traditions in Spain, no trip to Barcelona would ever be complete without it! Head to Tablao Cordobes to enjoy an evening full of music, drinks and of course plenty of dancing. If you are traveling in Barcelona with little ones tailing behind and are in search of a way to keep them fully entertained, what better way to do that than head to the zoo? The Barcelona Zoo is home to over 4,000 animals from 400 different species and gives you the opportunity to meet and admire so many of the beautiful creatures up close and personal. Spend the day in the magnificent Zoo in Barcelona. Buy your full day ticket for the zoo in front and save some money.